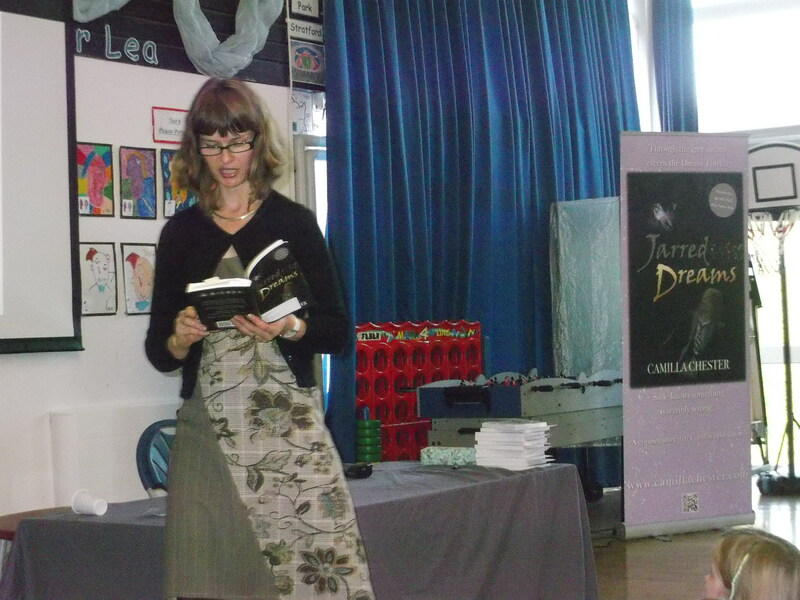 I'm Camilla Chester, Children's Author writing for children aged 8-12. I am involved in many different author visit and commission based work and have broken this down into sections so that you can read about the area you are interested in. My fees vary depending on what I am being asked to be involved in, but reflect my awareness of how tight school and library budgets are. I prefer to stay as local to my home in Harpenden, Hertfordshire as possible (50 mile radius) and I'm limited to afternoon visits, due to family and other work comittments. However, if an interesting opportunity arose then I would be interested in hearing more, even if this involves travel further afield. If after reading this information you still have questions please feel free to contact me. 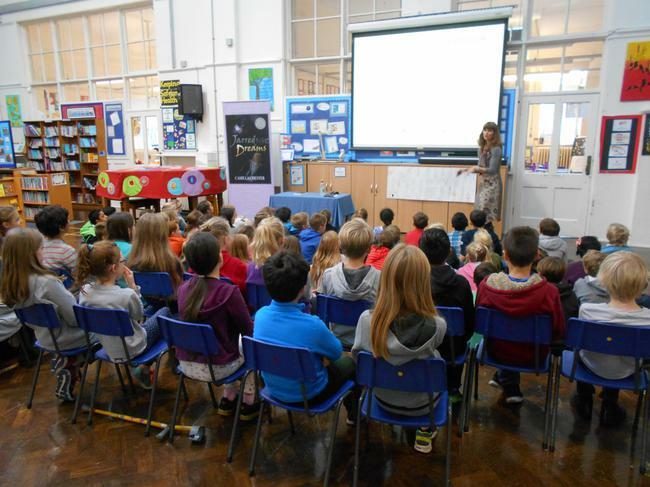 Schools make up the largest part of my author visits and I am particularly busy around World Book Day. My usual audience are Y5 & Y6 although I often visit Y7 and do full Junior School assemblies. The normal format is a full hour assembly which is very interactive and fun, followed by a targetted workshop to Y5 or Y6. This makes up a full afternoon. I prefer afternoon, local school visits as this fits in with my other comittments. A book order letter goes out before my visit and I can usually return for any late orders. "A superb and inspiring amount of information on the creative writing process plus great pupil interaction. The children were about to see how their own literacy work in school has some relevance to real life writing. The were also inspired to read!" Mr Tavistock, Y6 Teacher at Cunningham Hill Junior School. My usual library visit is to Chatterbooks, a reading group for 7-11s, but I have done other more general talks, particularly in connection with the Summer Reading Challenge. There is no charge, except expenses but I do sell books to cover costs, therefore the bigger the group the better! "It was a very engaging talk. Camilla had the children eating out of the palm of her hand! It covered lots of aspects of being an author and the writing process. I loved the interactive activities - brilliant way to involve everyone and get them thinking." Ros Cloke, Assistant Customer Service Supervisor, Hertfordshire Libraries. For children and adults, these can be tailored to what is needed. I prefer to do shorter sessions but can cover all kinds of topics from character building, to plot and structure. I am primary school teacher trained, (but not qualified), so experienced and comfortable within a school environment. "I learned so much from Camilla's workshop and haven't stopped writing since!" I have presented on local radio, both as part of a local Literary Festival and as a reviewer for adult fiction books. I have run competitions and done charity work as an author, appearing in the local press for promotion on these. Currently I am commisioned by 'Serial Mash' to write short chapter books for 7-11 year-olds which are then used in school as part of their literacy curriculum. I am happy to discuss other individual or organisation commission needs. As part of the St Albans Literary Festival I was asked to be a judge in the Children's Short Story Competition. As part of the 'book badge' requirement I will do author workshops at cubs, brownies, guides and scouts. The sessions are very interactive and fun. They are usually funded through subs and/or parent/carer contribution, with everyone receiving a signed book of their choice at the end of the session. The cost therefore varies depending on numbers. 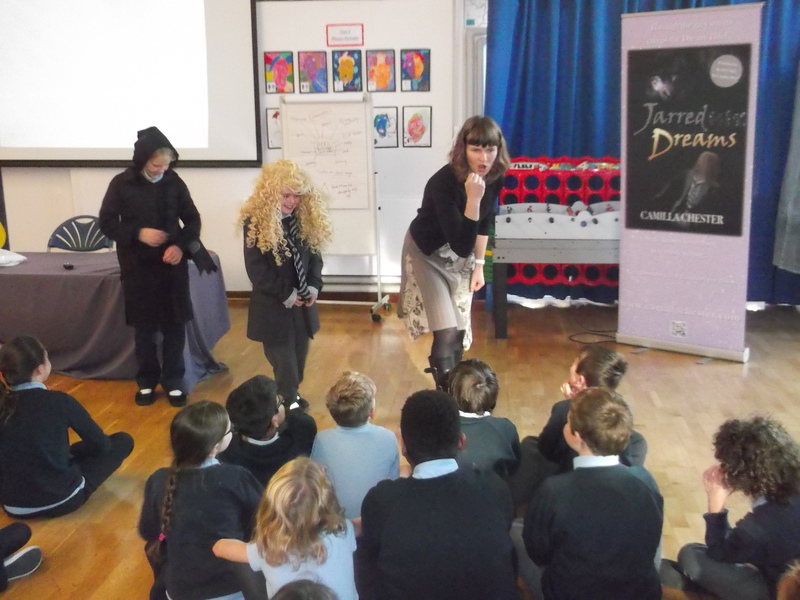 "Camilla was brilliant - I love her books!" Charlotte, aged 9 of Harpenden Tenth Brownies. There are a variety of different talks that I have been asked to be involved in. The main two are careers talks (usually for Y11) and talks around the process of self-publishing. I am happy to speak to large groups or in more informal, relaxed settings, but would request the opportunity to sell books. "The children's author - Camilla was very inspiring. I enjoyed listening to her and discussing my questions with her." Anon, Careers Evening at Abbots Hill, Hemel Hempstead. All three of my books cover an interesting array of potential topics that have been picked up by children and adults alike. 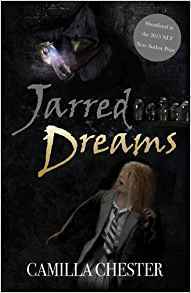 Jarred Dreams opens the idea of what the world would be like if children's hopes and aspirations were taken away. 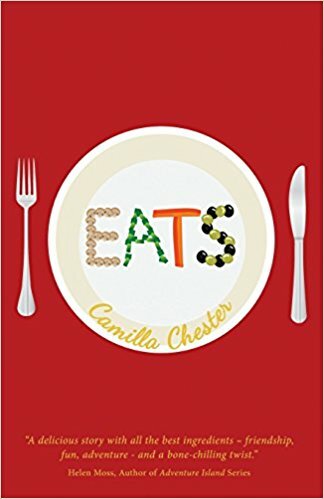 EATS is about consumerism and gluttony taken to the extreme and issues to do with children who are vegetarian. 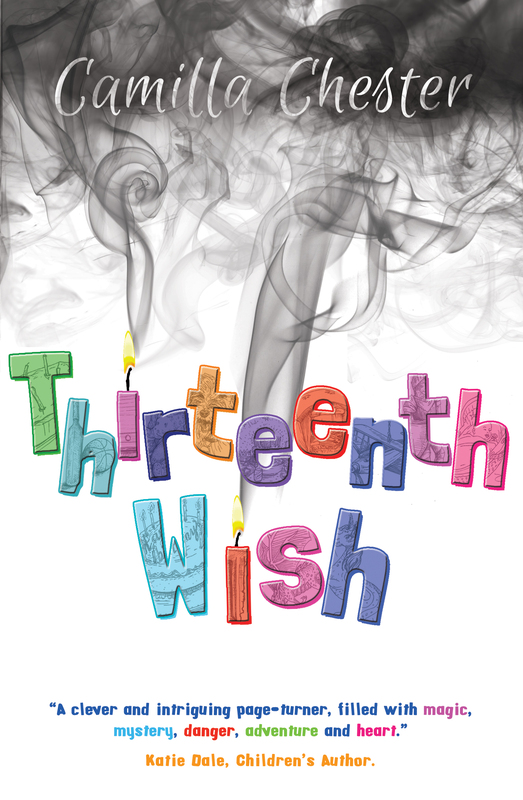 Thirteenth Wish looks at the concept of friendship across cultures and different ages. I am happy to be involved in talks or discussions around my books and their content, particularly the thought of introducing adult concepts into children's fiction. My first two published novels have both been shortlisted in literary awards. My debut, Jarred Dreams, which is about a ghoul who steals children's dreams storing them in jars (the dark BFG) was shortlisted in the National Literacy Trust 2015 New Author Award with was judged by Bloomsbury. My second book, EATS, which is about a vegetarian boy chef, was shortlisted in the Winchester Writers Festival 2017 Children's Funny Fiction Award. Reviews for my books can be seen on Amazon and/or Goodreads. I write because I love it and because it is a part of who I am. If I can share my enthusiasm with anyone then I am more than happy to do so, but I particularly want to inspire children to read and write too. I write adventure, mysteries for 8-12s that tend to spread across genres. I have two books in print or eBook. Chilling adventure tale for children aged 9+ about a ghoul who steals children's dreams. Set in the present day EATS is a culinary adventure tale for children aged 8-12. It is full of twists and turns that will have kids on the edge of their seat. When Jayden discovers a hidden room on his thirteenth birthday, he hopes it means trouble for his stepdad, Gary. Instead he finds himself battling through unbelievable encounters with Pip, his pyjama-wearing side-kick, in the biggest adventure of his life. The boys need Sally before they are lost from the world forever.